FIFA is fun! But endless team choosers are boring! This bot will spit out two random opponents for FIFA13-FIFA16 and assign you a team! 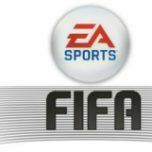 Incredible matche of which you would have never thought of will be played Selects two random opponents for the FIFA game Instead of forwarding generated FIFA games, add this bot to a Telegram Group or use it inline in any chat by starting the message with randomFIFAbot!